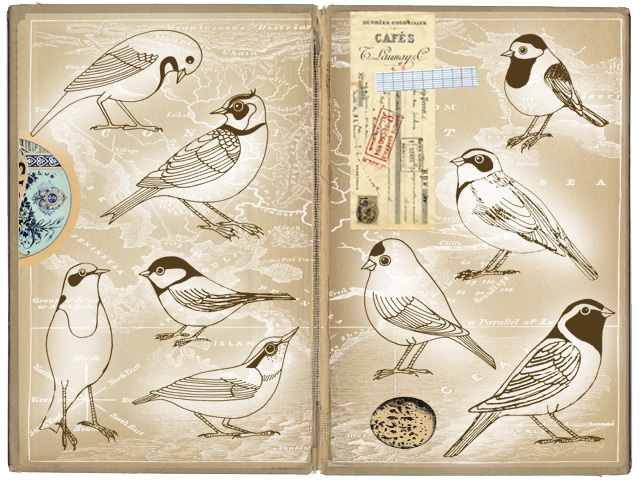 Digital collage of my hand drawn birdies. There are lots of free digital collage images available on the web to play with. A few wonderful resources I've found here, here & here. Have fun!